Milwaukee County Sheriff David Clarke has withdrawn from consideration for an assistant secretary position at the Department of Homeland Security. 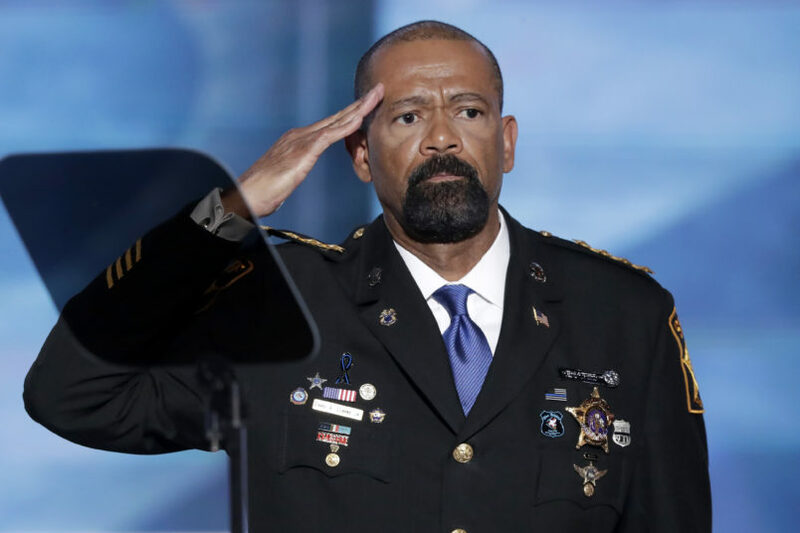 Clarke said in May that he had accepted a position at DHS, but nobody in the federal government ever confirmed his hiring, as Buzzfeed News noted. The sheriff had been set to start at DHS at the end of June, but his appointment faced delays, the Washington Post reported, citing an unnamed person close to the Trump administration. A DHS spokesman confirmed to CNN that Clarke is no longer under consideration for a job at DHS. Since Clarke announced that he had accepted a position in May, he has faced accusations of plagiarism. The sheriff also has run into legal trouble for the way he has run the prisons in Milwaukee County. In early May, an inquest jury recommended charges against Clarke after an inmate died of dehydration when prison officials cut off his access to water for a week. Another inmate sued Clarke earlier this year for keeping her shackled during childbirth in 2013.